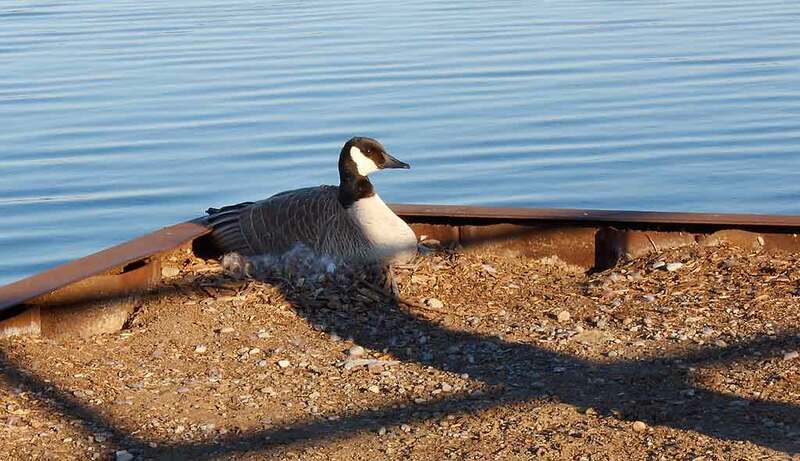 Today I spotted my first Canada Goose sitting on a nest. She's only about 10 feet away from me beside a walkway. Unfortunately the City Of Pickering has a policy of spraying the eggs with oil. That will kill them. This method keeps the female sitting on them until she figures it out that they are not going to hatch. Then it's too late to build another nest. 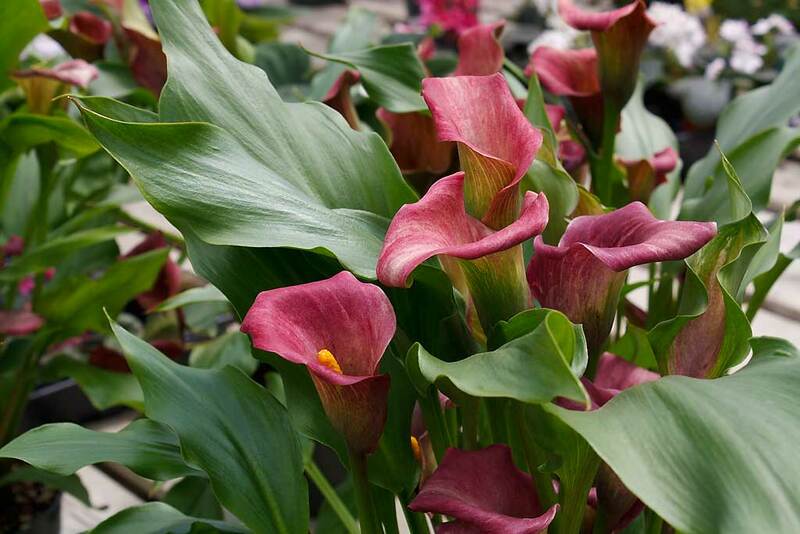 I'm back in the garden nursery when these Calla Lilies caught my eye. I wish I had a spry bottle of water with me. It would have made the shot more interesting. 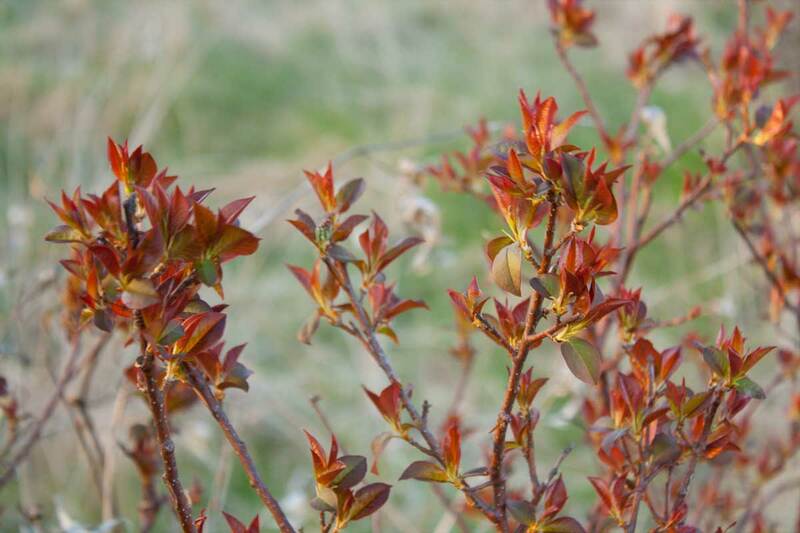 Red Dogwood grows plentiful here in the wild. 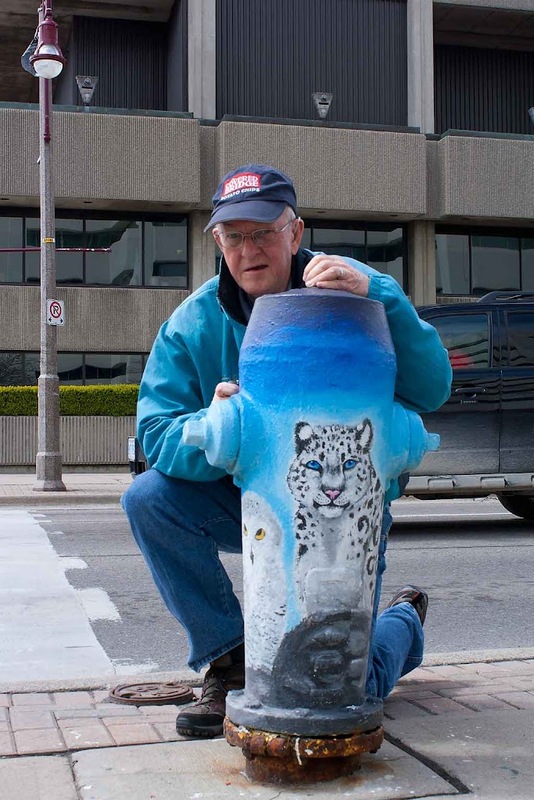 The artist who created a popular downtown Uxbridge mural was hired to recreate it but this time on more durable material that should extend it's life. 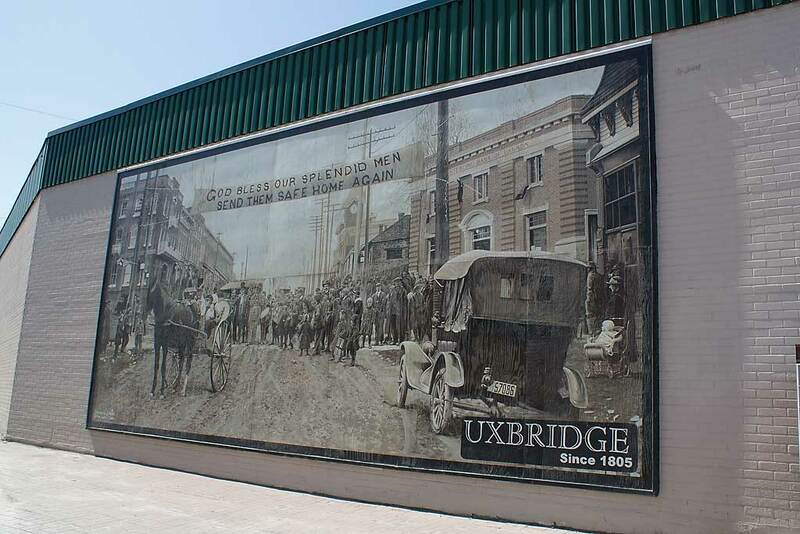 Uxbridge's Business Improvement Area (BIA) committee commissioned Uxbridge artist James Gain to create the mural in 2000, but the acrylic-on-wood painting that stands about 14 by 28 feet started to deteriorate about four years ago. The mural, which depicts an Uxbridge street scene during the First World War, is made up of 14 separate panels, each measuring 14 by 28 inches and was put together like a puzzle. "I didn't see what it looked like until it was up on the wall," said Mr. Gain. Despite the fact the mural is based on a photograph -- one of many he went through more than 10 years ago courtesy of local historian Allan McGillivray -- Mr. Gain relished the opportunity to exercise a little artistic license, including trying different brush strokes and subtle changes to tone and colour. All of the above text is from a newspaper account by Don Campbell. 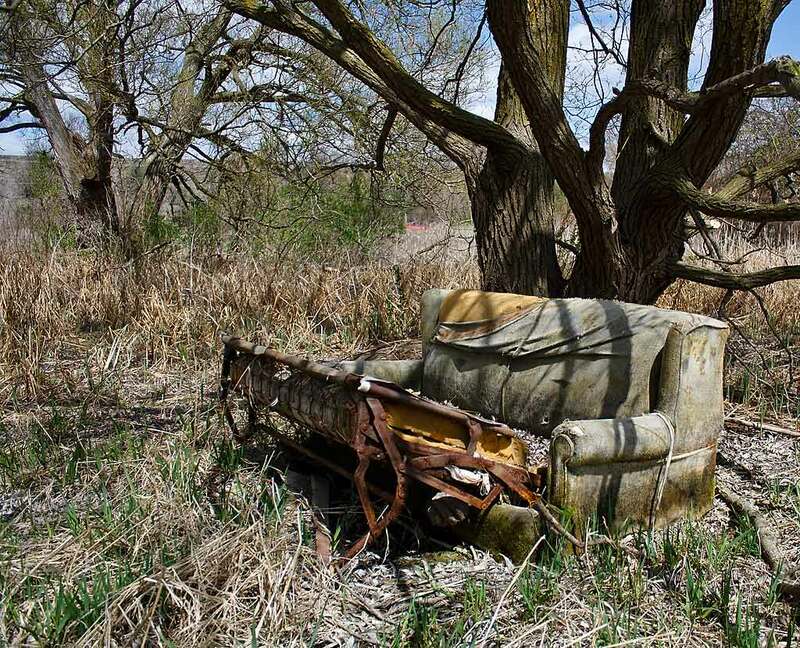 I did a posting on this couch last year. It has survived the winter except the for the upholstery staring to come off. 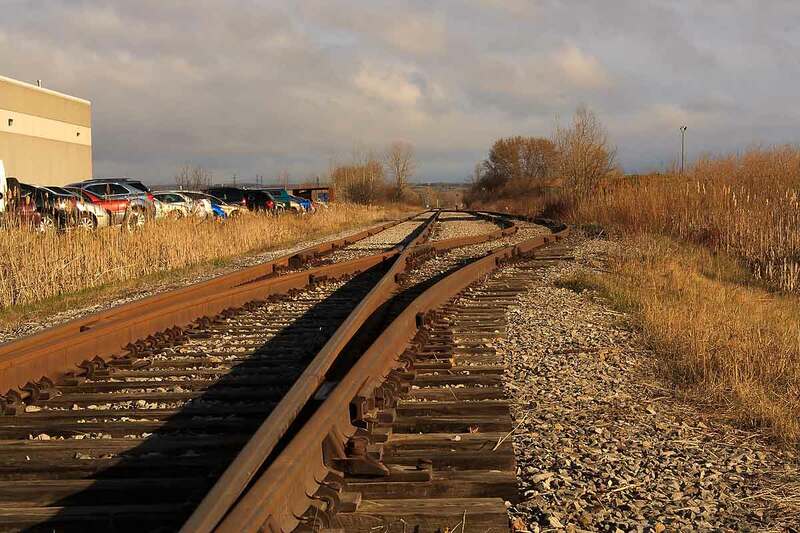 It's a spur line with a siding. This is a continuation of last week's posting. You can catch a glimpse of it on the right hand side of this photo. Heading Dockside by Beverley Smith, is a whimsical rendering of workers heading to the shipyards. 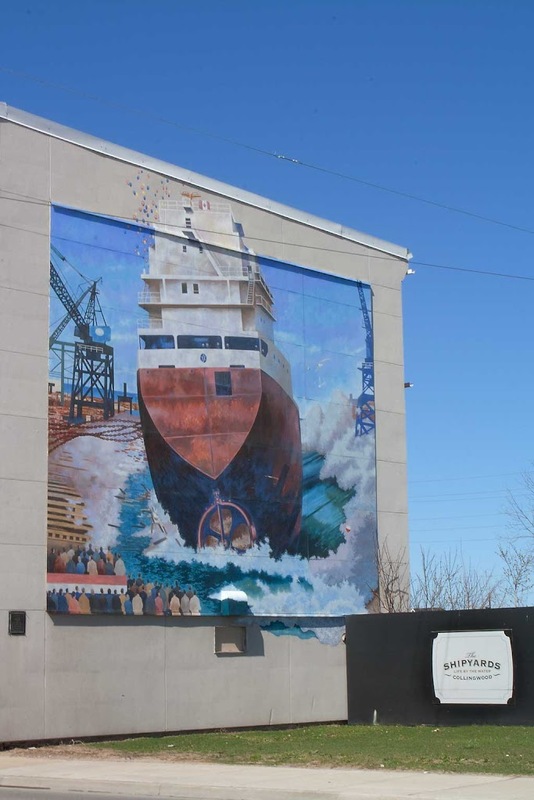 The mural includes a rendition of Gordon "Steamer" Clark, a shipyard worker well known for his ability to make anything out of steel. Clark is shown in the mural playing the saxophone. 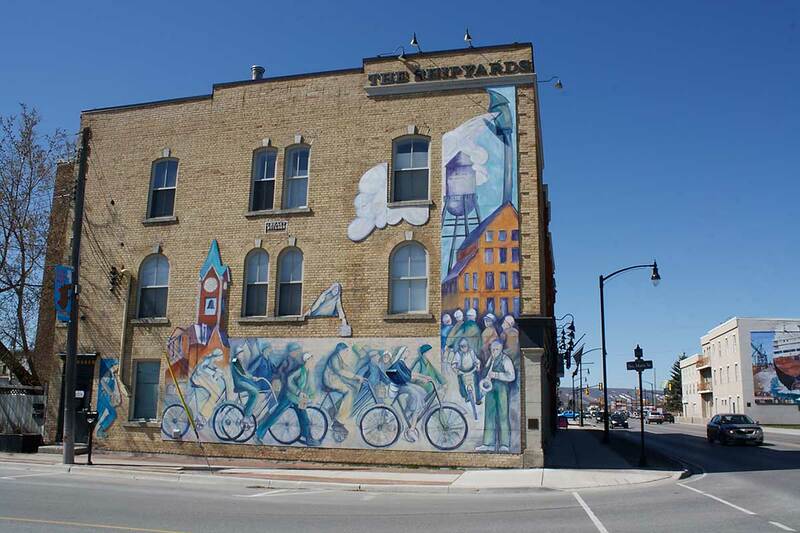 The mural is 35' by 35' and located at 28 Huron Street. It was installed in 2000 and restored by the Town in 2009. I'm linking to Monday Mural. 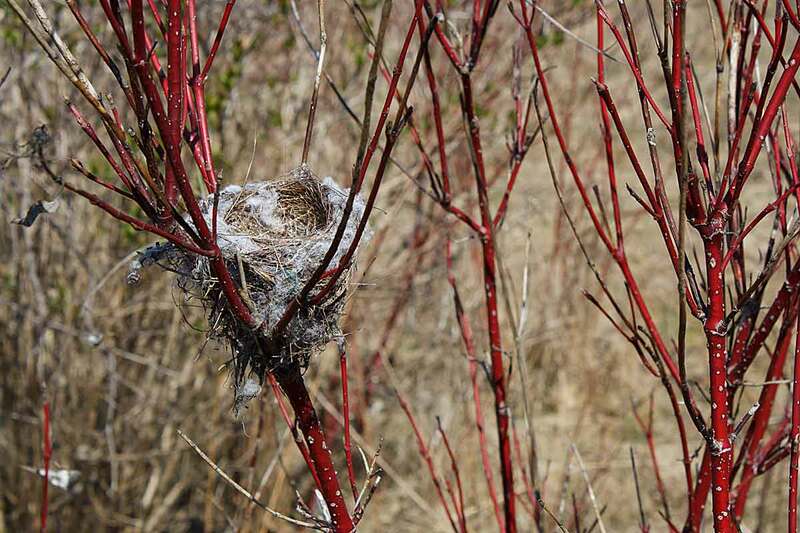 I've walked this trail a dozen times this year and never noticed the nest before. Is from last year or a new one for this year? 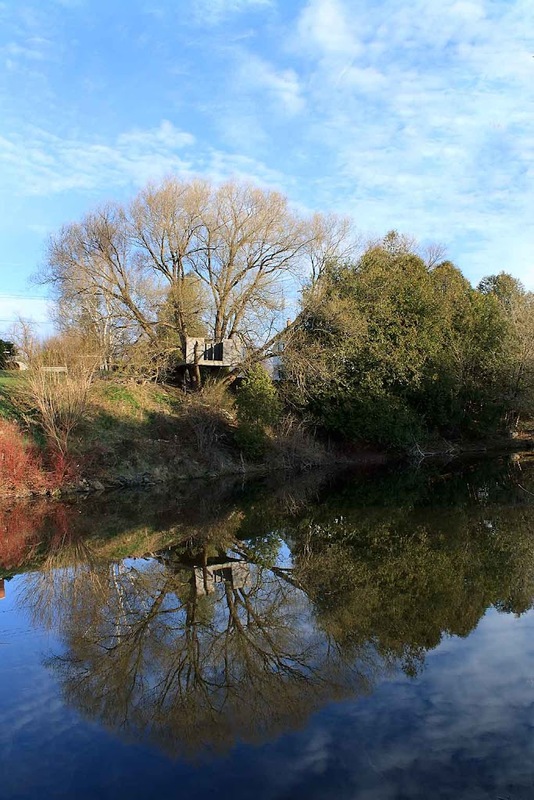 Located in Diana, Princess Of Wales Park, Pickering, Ontario, Canada. It's a skateboarding park and also is a graffiti by permission area. 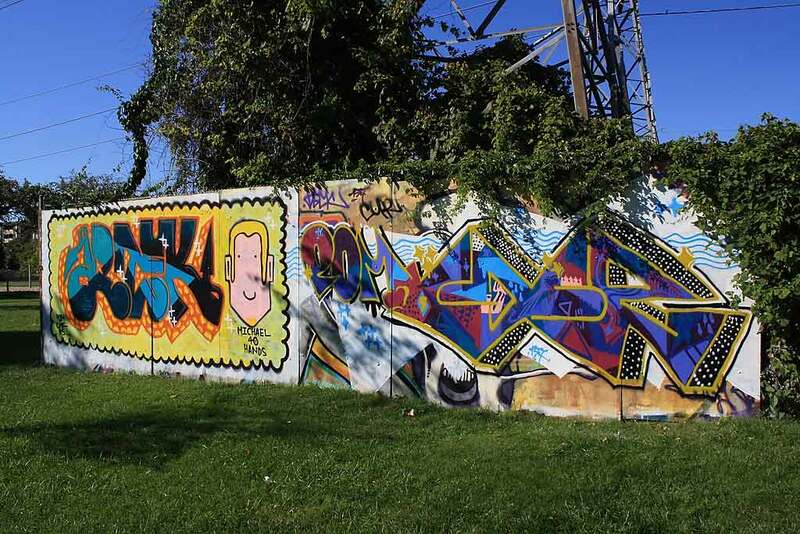 I'm linking to Graffiti Wednesday. Side Launch was painted onsight by John Hood and assisted by Alexandra Hood using projected images and a skyjack. Installed in October, 2000 by the Millennium Murals Committee, this gateway mural is 34' by 35' and located at 5 Huron Street. The shipbuilding industry was the lifeline of Collingwood for almost 100 years. The Side Launch captures the larger than life feeling of the ships and their launches which drew thousands to the harbour to view the spectacle. I'm linking to Monday Mural. I hope I'm not boring you with another water reflection. 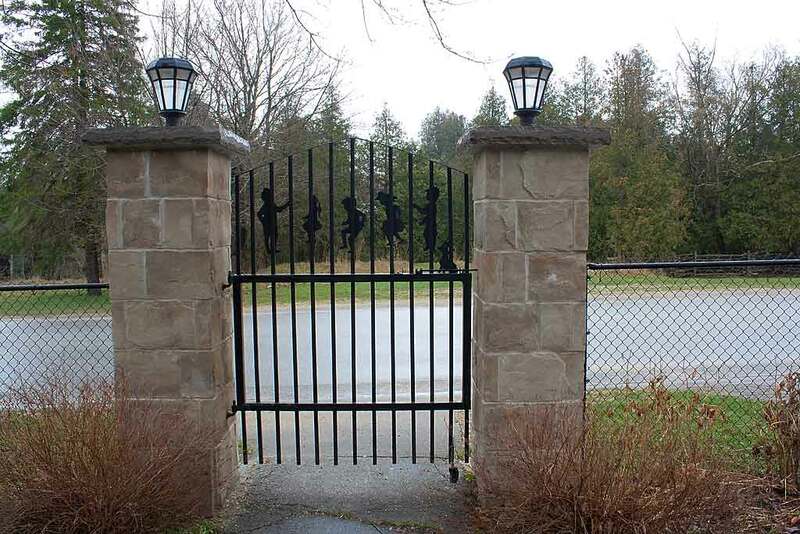 I can just tell that someone's grandmother owns this gate. 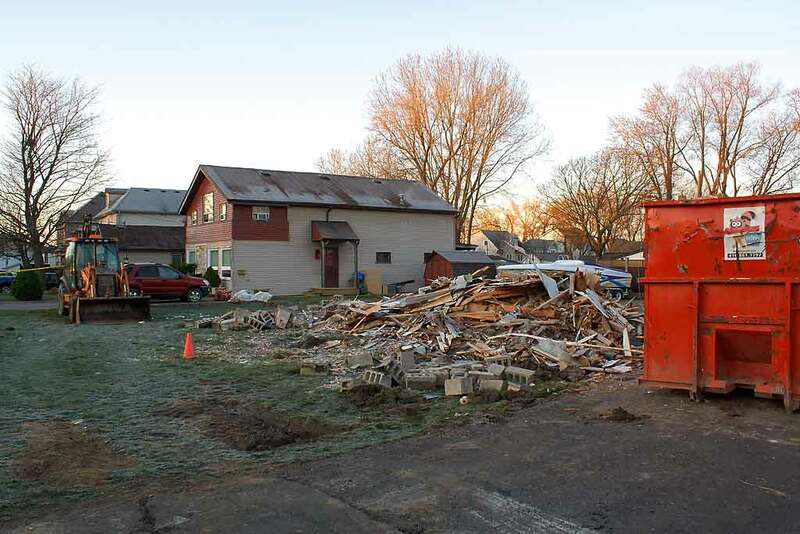 This is all that remains of a bungalow home. I don't know what is happening here but I assume they are making way to build an extra large home on the sight. At least that seems to be the trend with other homes in the area.